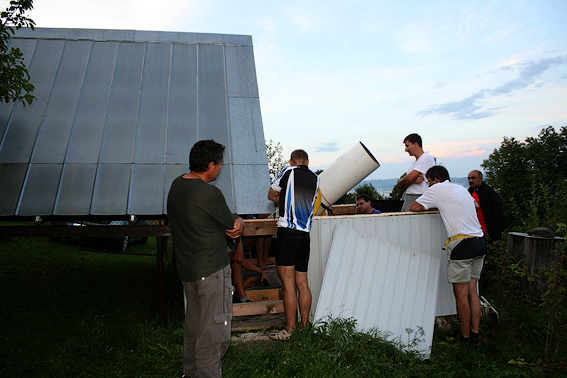 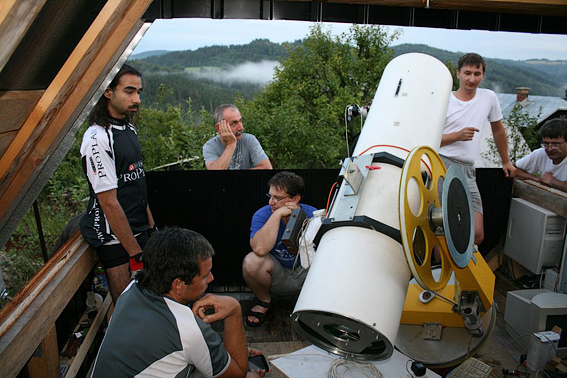 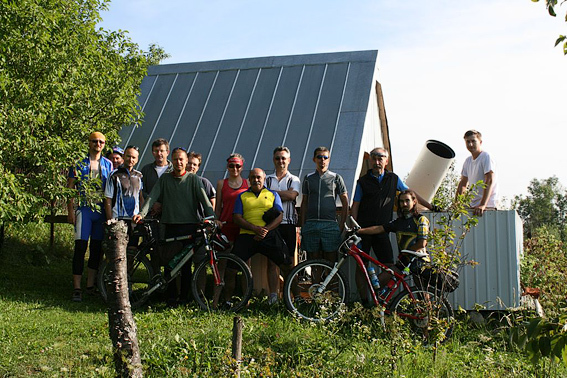 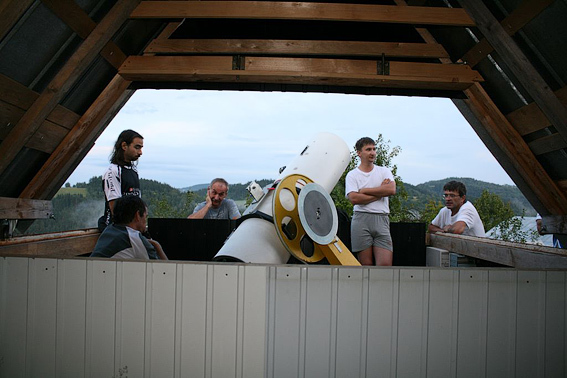 ESA (Ebicycle of Slovak astronomers) has visited my observatory this year. 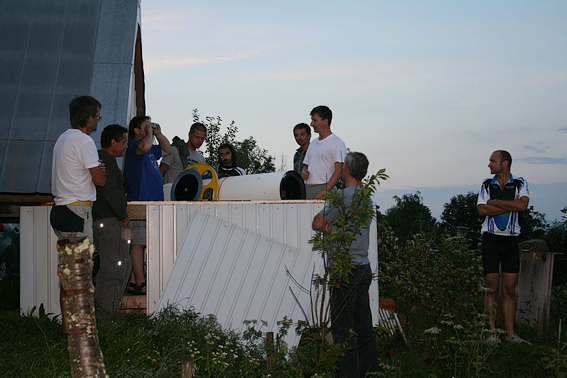 After the arrival all participants took a look at my observatory and my very old wooden house in which the spent their night. 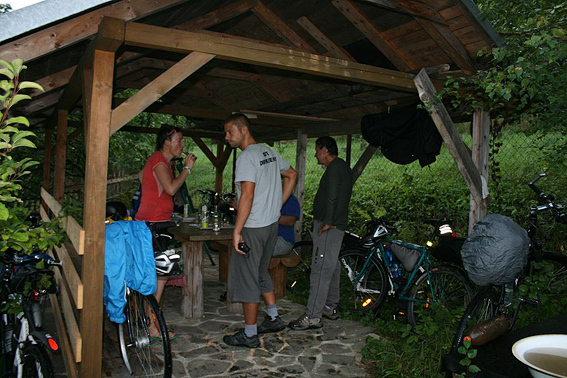 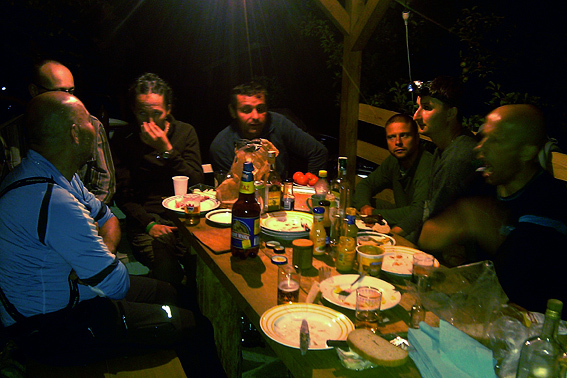 After the tour we ended in a garden house with grilled delicacies and had a chat for a long time during the night.